Episode 61: The Royal Arctic Institute — Look at my records! Episode 61 of Look At My Records! is the first in a series of episodes previewing the upcoming North Jersey Indie Rock Festival. The annual fest is now in its third year and is happening at White Eagle Hall on Saturday, October 6th! 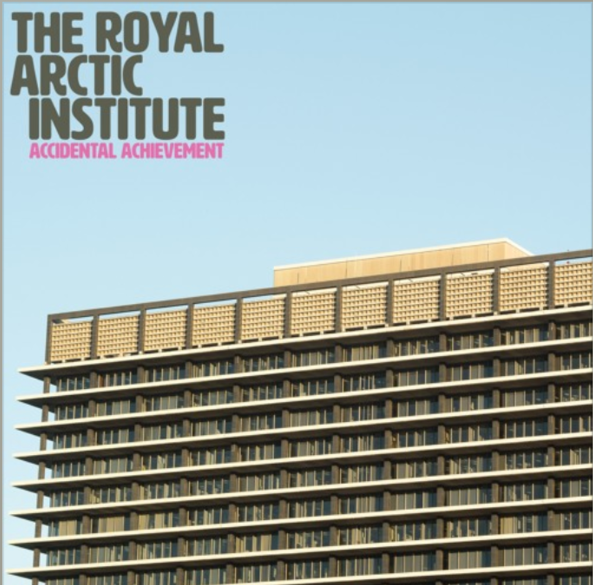 For the first installment, I chatted with The Royal Arctic Institute. Comprised of Lyle Hysen (Das Damen), Gerard Smith (Phantom Tollbooth), and John Leon (Rory Erickson), this highly pedigreed power-trio plays an eclectic blend of post-punk and cinematic jazz instrumentals. Tune in to hear about the group’s formation, their music, and upcoming gigs. Plus, the dudes made some excellent picks from my record collection including The Specials, Richard Hell, and The Psychedelic Furs! The band’s second LP, “Accidental Achievement,” is scheduled for release on Friday, October 19th via Rhyme & Reason Records. Tune in to hear two brand new songs from this forthcoming LP, “Northern Progress Exploration Company” and “Raymond Roussell.” The group is also releasing a cassette single, “Russian Twists,” for Cassette Store Day on October 13th. You can also hear that song in this episode! October 20th at Guitar Bar Jr.